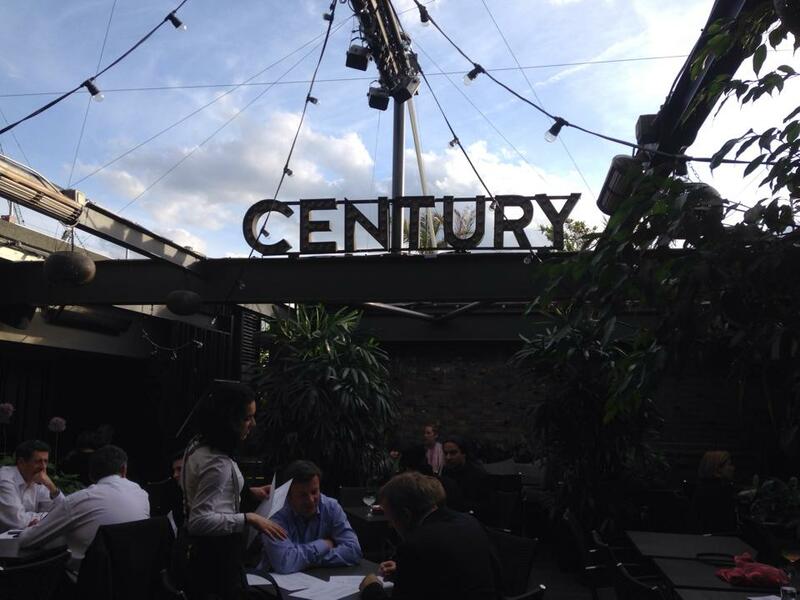 I sampled the Huna Blends Chill Bowls at Century Club Soho. Huna Blends was founded by Stephen W Parsons. He creates delicious ‘Chill Bowls’ and Power Shakes which were influenced by the Californian health food movement but he adds his own European Twist. The blends have now hit London and are about to become huge. The Chill Bowls are a cold blend of fruit, vegetables, spices and nuts served as a thick sorbet. I sampled the Roof Garden Bowl which is a blend of Apple, beetroot, leaf spinach, cinnamon, spirulina powder, almond milk and mustard seed. I wish I could pick up a bowl every morning for breakfast as it was very filling, refreshing and absolutely guilt-free! I could definitely over indulge here. If you a regular reader you will know that I LOVE food and I eat out a lot so I’ve started to worry about my weight (it’s going to catch up on me soon!) 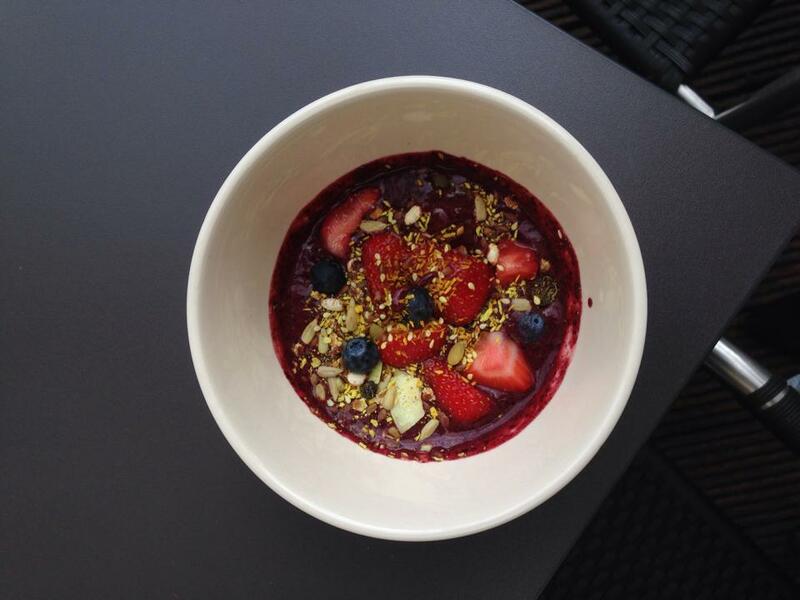 Huna Blends is a great healthy alternative for breakfast, lunch or even as a dessert. The next bowl I tried (below) was my absolute favourite. It had a slight hint of chocolate and was ever so creamy and smooth – the perfect summer dessert. The bowls are priced at reasonable £7 and power shakes are also available for £5. Everything is gluten-free, dairy-free, Non-GMO and suitable for Vegans. Turning vegan, gluten and dairy free seems to quite a ‘trend’ at the moment for anyone looking for a health kick. Founder Stephen Parsons was very clear in explaining that blending is a passion of his and he hasn’t just created the chill bowls because of this new trend. He is passionate about blending and it has taken years to perfect his recipes, by trying new ingredients and adding spices. Stephen Parsons explained his dedication to blending which shows that a lot of love and care goes into each product. The bowls and shakes are blended in front of you so you know you are receiving only the freshest produce. 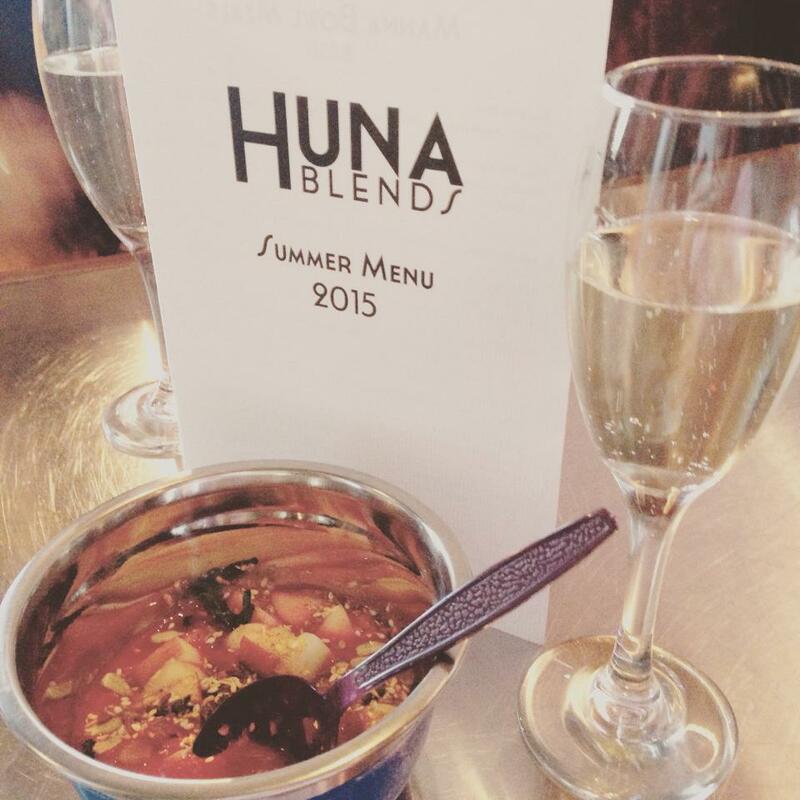 Huna Blends has now opened in Shoreditch so why not pay a visit. I’m very jealous of anyone who works nearby as this would be my new lunch hangout! Ps. Thanks Huna Blends are adding our photo!